Here at The Alternative Daily, we love to find small adjustments to make our daily habits altogether healthier. We’re not about depriving ourselves or trying to take on huge changes that we can’t commit to long-term. However, we do find that there’s almost always something we can tweak a little bit, which could have a big effect on your overall well-being and happiness. That’s where cold brew coffee comes in. 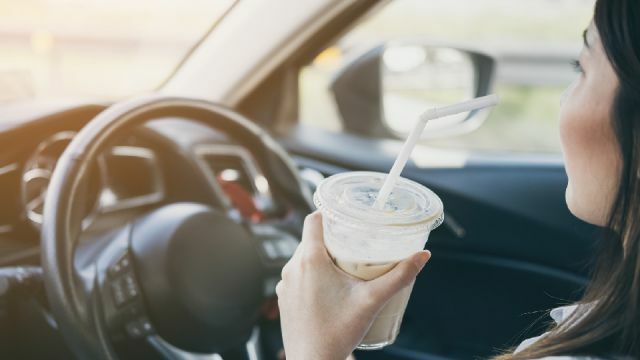 Almost all of us enjoy some type of beverage every morning as part of our routine, and the truth is that drink could either be helping or hindering your health. It’s a small habit that could have a big impact on your waistline, aging process and vulnerability to disease. So if you can optimize that daily drink in a way that can easily incorporate into your existing routine, why not try it out? That’s why you might be intrigued by cold brew coffee. Cold brew coffee is commonly confused with iced coffee. In fact, they are completely different drinks. Iced coffee is simply regular coffee brewed with boiling water, then poured over ice to chill it before serving. Cold brew is made with a different brewing process, whereby coarsely-ground coffee beans are left to soak for anywhere from 12 to 24 hours in cold or room temperature water. The beans are not subjected to high temperatures during brewing. This is what makes all the difference according to experts, who say that cold brew coffee retains its acids and oils, which would otherwise become oxidized by the heat used during conventional brewing processes. Because the acids and oils are left intact, cold brew coffee is said to have a mellower, sweeter taste, without the bitter notes often found in regular coffee. The biggest health benefit of cold brew coffee is the increased antioxidant content. Coffee starts out as an antioxidant-rich fruit, but some of these compounds are destroyed or oxidized when brewed with hot water, or they never get extracted and get disposed with the grinds. Brewing at a cool temperature for a longer time allows these health-protective substances to remain in the brew, where they may play a role in slowing the aging process and protecting against many diseases including cancer, heart disease, Alzheimer’s and arthritis. Cold brew coffee may also be gentler on your stomach since it is less acidic. When coffee is brewed at a high temperature, a compound called chlorogenic acid is converted into another acid called quinic acid, which is very astringent and can damage the stomach lining. If you have heartburn or an unsettled stomach after drinking coffee, you may find yourself reaching for some other drink or snack to help soothe your system. This is also true of the more bitter flavor of conventional hot-brewed coffee — almost everyone enjoys a sweet treat with their coffee, which might be an unconscious reaction to cover up the bitter taste. Cold brew, on the other hand, is less acidic and offers up chocolatey, citrusy and nutty flavors, so it could save your stomach and prevent you from packing in further unneeded sugar or empty calories. While some sources say cold brew has less caffeine than regular coffee, others say it has about the same amount. Both cold and hot brewed coffee may support weight loss by increasing body temperature and fat metabolism and helping you exercise harder without more perceived effort. A 2015 study also observed that those who drink coffee more often have less risk for obesity and type 2 diabetes. Now that we know how cold brew coffee could be a weight-loss winner, we want to ensure we don’t reverse the benefits by adding the wrong things to our coffee. Sugar, for one, adds empty calories and an inflammatory factor. Drinking cold brew, which is said to taste sweeter and fruitier, could prevent the desire to add sweetening agents to coffee. Creamer or whitener products and even regular coffee cream aren’t a good idea either since they often contain such unhealthy ingredients as high-fructose corn syrup, artificial flavors, trans fats and carrageenan. On the other hand, there are much healthier things to add to coffee which can improve the flavor and even the nutritional profile. Coconut oil can add a delicious tropical taste to coffee and the fats may help with the extraction of those healthy antioxidants. Cinnamon, vanilla extract or cardamom are perfectly safe additions that add the impression of sweetness without any additional calories. Full fat whole milk or real cream, or even butter, are the best choices for adding creaminess without any nasty artificial ingredients. Are you wondering how to get started with making your own healthy cold brew coffee? It’s easy, and you don’t need anything different from what you would normally use to make coffee. To get started, you need coarsely ground coffee, a French press or a Mason jar and some filtered water. In your chosen vessel, mix one cup of coffee grounds for every three cups of water. Top it up with filtered water and mix well. If you like, add a cinnamon stick or some cardamom pods. Some baristas even add orange peel. Once your blend is complete, if you’re using a French press, cover it with plastic wrap or a beeswax wrap. If you’re using a Mason jar, put the lid on. Then place the container on the counter or in the fridge. The amount of time you leave your brew to infuse depends on preference and could take some time to figure out your own optimal choice. However, most people aim for around 15 hours. Use the top of the French press, or a coffee filter if using a Mason jar, to strain the brew into the cup of your choice. Most people find the resulting cold brew to be more of a concentrate, which they then dilute with water or milk, but this depends on your personal taste. You can still enjoy cold brew at a warm or hot temperature too, by simply mixing the concentrate with hot water. That’s it! Enjoy your smooth, mellow coffee and revel in those added antioxidants. Will you give cold brew coffee a try? Hey Buddy!, I found this information for you: "People Who Drink This Type Of Coffee Are Slimmer". Here is the website link: https://www.thealternativedaily.com/drink-this-type-of-coffee-to-be-slimmer/. Thank you.